DUBLIN: Facebook will begin testing a new feature allowing users in Ireland and Spain to express a range of emotions on posts starting on Friday (Oct 9) - but there will be no "dislike" button, the social network said. Facebook described the new "Reactions" options as an extension of the "like" button, to give people more ways to easily signal how they feel. Users have for years pressed the world's leading online social network for a "dislike" button to complement the existing thumbs up one, which allows users to express they "like" a post. "Not every moment is a good moment, and sometimes you just want a way to express empathy," postedFacebook co-founder and chief executive Mark Zuckerberg. "These are important moments where you need the power to share more than ever, and a 'Like' might not be the best way to express yourself." During the trial, users in Ireland and Spain will be able to select six emotions, as well as the like button, as they consider how they feel about posts. The options for the trial are: "love," "yay," "wow," "haha," "sad," and "angry," and are similar to emojis used in text messaging. Each expression comes with a correspondingly themed emoji. "Reactions gives you new ways to express love, awe, humour and sadness," Zuckerberg said. "It's not a dislike button, but it does give you the power to easily express sorrow and empathy - in addition to delight and warmth." 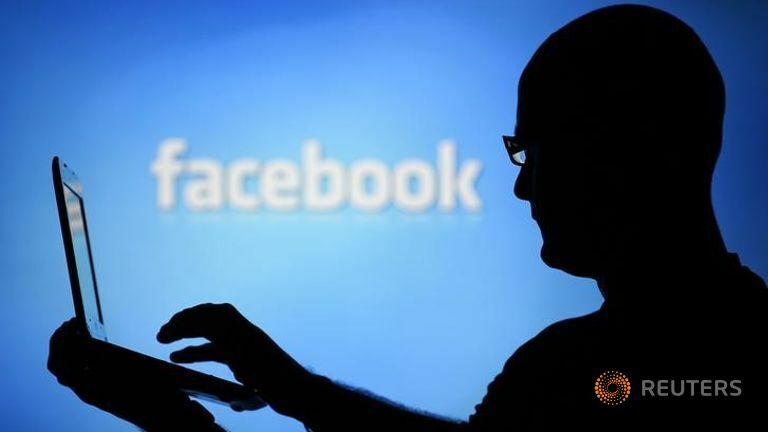 Chris Toss, Facebook product manager, said Reactions would give users greater ways of engaging with stories and content. "It's a much broader range of human emotions you can express," he told Irish national broadcaster RTE, speaking from California. A spokesman had no information on the length of the trial or when it might be extended to Facebook users outside Ireland and Spain. Toss also said the social network decided a "dislike" button would not add value to the site. "Liking" something on Facebook also plays a key role in the social network's algorithm, allowing users to see content they regularly engage with and enabling targeted advertising. The new range of empathy buttons could eventually be used for similar purposes, but not during the trial, according to Toss. "If you're coming for humorous content and you're saying 'ha ha' to lots of funny cat videos, down the road we might use that to show you more cat videos, but as of the initial test you won't see any of that," Toss said.